Today we'll be closing out the month-long celebration by featuring our winner for the 2017 award for Institution of the Year (Over $500,000). There have been many milestones during the 54-year history of COSI, Columbus’ Center of Science and Industry, yet the past 18 months have truly been historic. Working with Honda of America, COSI organized a groundbreaking exhibition about technological innovation that encouraged visitors to think about exciting new opportunities in science, engineering, art, and math. COSI also developed a first-of-its-kind partnership with the American Museum of National History in New York to bring a world-class dinosaur gallery permanently to Columbus. The year was also noteworthy for COSI’s remarkable community engagement and outreach programs. Its solar eclipse celebration took place at over 34 area locations (including parks, libraries, a brewery and a shopping mall), and “COSI After Dark” attracted new audiences with programs designed to engage adults and millennials. All of this was accomplished during a period when COSI overcame challenges related to the major construction project of a new park and an underground parking facility – right in their front yard. Perhaps most impressive, during this period COSI engaged an astonishing number learners of all ages through both onsite and offsite activities – over 1 million, the equivalent of 8.6% of the entire Ohio population - and achieved a new record for a single-day audience: 50,830 engaged in one day. 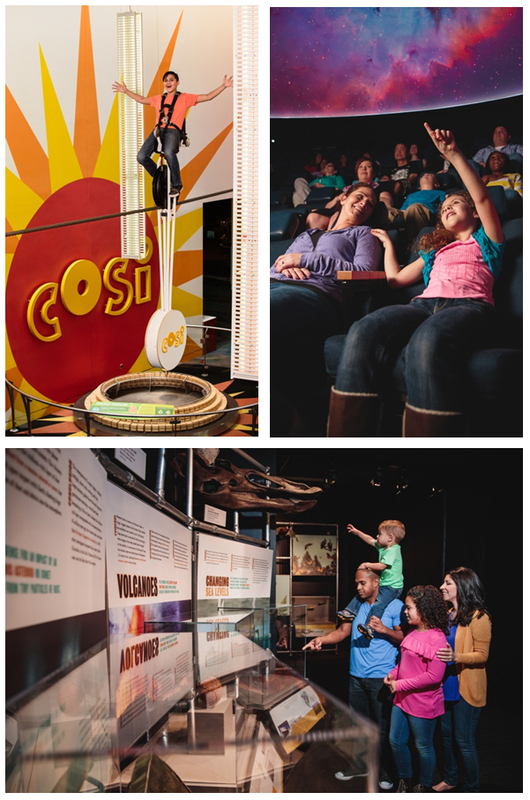 COSI’s impressive outreach, partnerships, and adaptability continue to grow its audience and led to a remarkable year that solidifies COSI as one of Ohio’s premiere venues for education, science, technology, and visitor engagement.